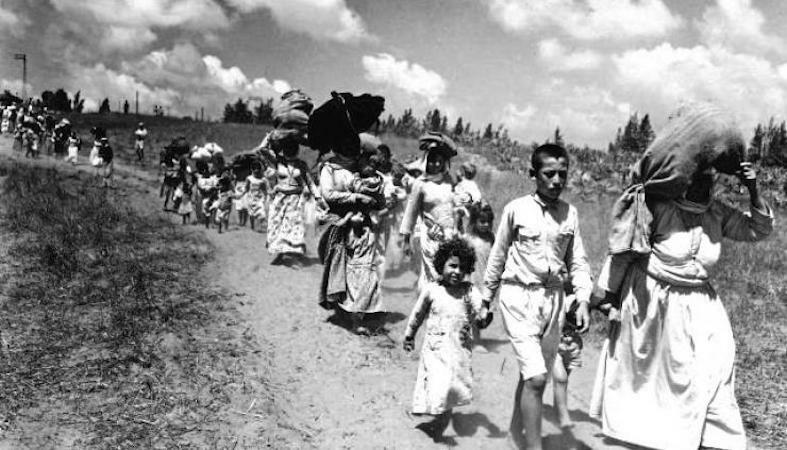 The largest group is comprised of Palestinians displaced/expelled from their homes in 1948. This includes Palestinians registered as refugees with the United Nations Relief and Works Agency (UNRWA), created in 1949 to aid Palestinians forced from their homes, and others who either were not eligible for international assistance or chose not to receive it. The second major group is comprised of those Palestinians displaced for the first time in the June 1967 war from their places of origin in the West Bank, East Jerusalem, and the Gaza Strip. The third group of refugees includes Palestinians who left the Occupied Territories since 1967 and have been prevented by Israel from returning due to revocation of residency rights, denial of family reunification, or deportation. Some are simply unwilling to return due to a well-founded fear of persecution. In addition, there are two groups of internally displaced Palestinians. The first includes those who left their homes or villages but remained in the area that became the state of Israel in 1948. The second group includes Palestinians internally displaced in the West Bank, East Jerusalem, and the Gaza Strip.